The German Primate Center (DPZ) have been producing some excellent resources to show how their primates are housed. This sort of outreach goes a long way to helping understand the lengths that institutions will go to ensure that high standards of animal welfare are maintained for their primates. The first resource is an interactive tour of the DPZ facility. The website allows users to se pictures of the facility, and discover key information about the site. There are approximately 1300 primates currently kept at the facility, 75% of which are either rhesus macaques or common marmosets – both common research animals. It isn’t just information about the animals which is provided. The tour explains why staff and visitors must change their shoes as they walk around the facility, and how clothes are decontaminated between areas. While such practices are very normal for researchers and animal care staff, they can seem quite alien, and even intimidating, for those who are less used to the laboratory environment. The tour answers questions about how often cages are cleaned (daily), how sunlight is regulated, what sort of enrichment exists, and much more. 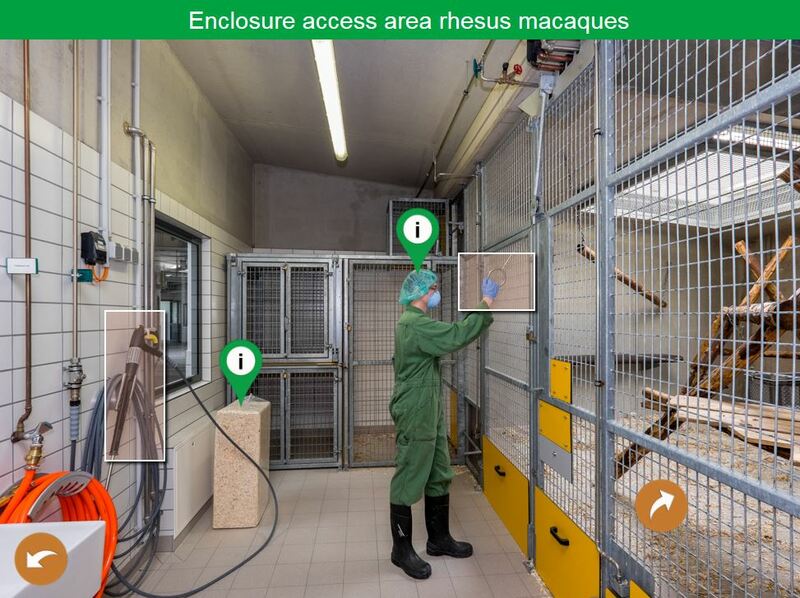 The breakout boxes provide more information about aspects of animal welfare, facility management and the animals themselves. DPZ have also produced a video (in English) showing the work being done at their Cognitive Neuroscience Laboratory. The video looks at research which aims to understand the filtering process (selective attention) in brain processing – “what are its consequences, what is its neural basis, and what happens if there is a malfunction in that system”. It includes both the human and primate research. The video is fantastic, showing how the primates are treated in studies at DPZ. This sort of outreach is important to help the public understand what primate research actually looks like. Speaking of Research congratulate DPZ for these fantastic outreach tools. Posted on July 13, 2015 by EditorPosted in News, Outreach NewsTagged DPZ, German Primate Center, outreach, primate research.